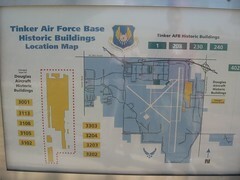 Tinker Air Force Base has been a critical component of America’s national defense since its creation as a maintenance and supply depot in 1941. In 2007, Tinker Air Force Base is home to the Oklahoma City Air Logistics Center and several major associate units including the 552nd Air Control Wing, the Navy’s Strategic Communications Wing One, the 507th Air Refueling Wing and the 3rd Combat Communications Group. 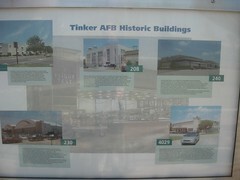 With more than 26,000 military and civilian employees, Tinker is the largest single-site employer in Oklahoma. In 1940, the War Department was considering the central United States as a location for a supply and maintenance depot. Oklahoma City leaders offered a 480 acre (1.94 km²) site and acquired an option for 960 additional acres (3.89 km²) of land. On April 8, 1941, the order was officially signed awarding the depot to Oklahoma City. 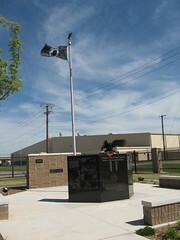 In 1942, the new installation was named Tinker Field in honor of Major General Clarence L. Tinker of Pawhuska, Oklahoma. General Tinker was killed in a crash while leading a flight of B-24 Liberators on a long-range strike against Japanese forces on Wake Island during World War II. 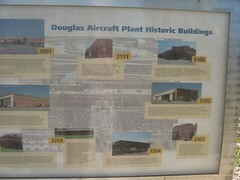 Tinker Field was the site of a Douglas Aircraft factory producing approximately half of the C-47 Skytrains used in World War II. The site also produced a number of A-20 Havocs. Production ceased in 1945. 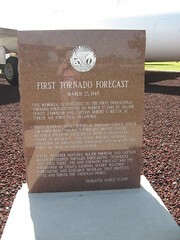 The first successful tornado forecast in history was issued on March 25, 1948 from Tinker, about three hours before the tornado hit the southeast corner of the base. 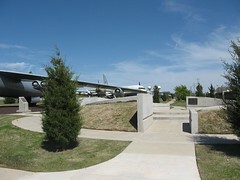 A granite marker in the Heritage Airpark on the base commemorates the event. The Oklahoma City sonic boom tests, also known as Operation Bongo II, refer to a controversial experiment in which 1,253 sonic booms were unleashed on Oklahoma City, Oklahoma over a period of six months in 1964. The experiment ran from February 3 through July 29 inclusive, intended to quantify the effects of transcontinental supersonic transport (SST) aircraft on a city. TINKER, CLARENCE L. (1887-1942). Clarence Leonard Tinker was the first American Indian in U.S. Army history to attain the rank of major general. One-eighth Osage Indian, Tinker was born on November 21, 1887, in Osage County, Oklahoma, the former Osage Nation, Indian Territory. Tinker, the eldest son of George E. Tinker and Sarah A. Schwagerte, received his elementary education in Catholic institutions at Hominy and Pawhuska, Oklahoma, and the Elgin, Kansas, public school. Beginning in 1900 Tinker attended the Haskell Institute at Lawrence, Kansas, but withdrew before graduating. In the fall of 1906 Tinker enrolled in Wentworth Military Academy at Lexington, Missouri. Upon graduating in 1908 Tinker was commissioned a third lieutenant in the Philippine Constabulary.